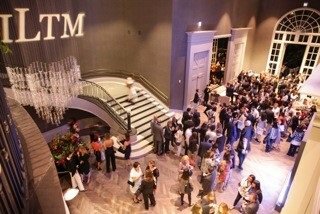 ILTM Latin America 2019, regional event for the luxury travel industry, will welcome this year more of the most productive agents from Brazil and Latin America than even before, including many new faces. A total of 370 buyers will attend the invitation only event in São Paulo in May, with 26% of these set to be new faces. They will attend from 14 countries – newly represented at the event are the Dominican Republic, Ecuador and Guatemala – and 40 cities to meet with some of the best travel experiences from across the world. Agents from 22 cities in Brazil alone will be represented including Cuiaba and Uberlandia, also for the first time. The 2019 edition of ILTM Latin America is defined by its theme of ‘Back to Life’ to highlight the value of Health and Wellness for both the luxury travel business and the consumer as well as our responsibility in taking care of and celebrating nature. The event also welcomes over 90 new exhibitors in a total of almost 370 luxury travel brands from all four corners of the world who will attend to network and build business with the region’s wealthiest. They include AccorHotels Luxury brands, Aman Resorts, Baha Mar, Bürgenstock Hotels & Resort in Switzerland, Belmond, Dorchester Hotels, Hyatt Hotels and Resorts, Leading Hotels of the World, Mandarin Oriental Hotel Group, Marriott Luxury Brands, Preferred Hotels, Portugal’s Quinta das Lágrimas, Rosewood Hotel Group, Small Luxury Hotels of the World, The Vines Resort & Spa in Mendoza and Vakkaru Maldives as well as destinations including Portugal, Georgia and Israel.